to create financial independence. Why not you? Own your franchise in 90 days. Let’s talk. Drill down, see if Dental Fix is a good fit. Come to the beach, try on our culture. Meet the staff. Start six weeks of training with our team, own your own franchise! Our call center, located at company headquarters, sets up daily appointments. We guarantee, you as a franchisee will receive a full refund on your Initial Franchise Fee if, after the first 12 months of operations, your Dental Fix business does not service at least 40 practitioners as customers. 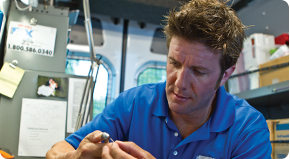 Why is Dental Equipment Repair the Right Business? Dentists and dental specialists hold roughly 170,000 jobs in the USA. Employment of dentists is projected to grow nine percent through 2016. The demand for dental services is expected to continue to increase. The growth in both orthodontics and cosmetic services will greatly increase the need for our services. Productivity increases from new technology, as well as having dental hygienists and assistants perform some tasks, will allow dentists to perform more work than in the past. This will directly impact our business as on-time equipment repair needs will become a growing concern. As new equipment costs continue to escalate more dentists are choosing to repair equipment versus buy new. Franchise owners complete an extensive 42-day training program. We also provide five days of additional on-site support in each market during the opening phase. Once complete, each owner will have the technical skills necessary to repair equipment, sharpen tools, and rebuild handpieces. We instill not only the knowledge but also the confidence to allow franchise owners to become successful in the untapped market of dental equipment repair. Our state of the art training facility includes an actual dental office with all the equipment and tools to train on. 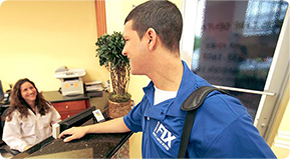 Each franchise owner is assigned an account manager who is stationed at the Dental Fix home office. The account manager handles many aspects of the business which provides you with significant benefits. -Provide grand opening marketing support. -Contact each dentist to offer services and/or supplies monthly. -Route calls from dental offices in your territory to you. -Collect on invoices from services and repairs. -Market your business to new dentists. "Dental Fix RX soars 83 spots to No. 185 in Entrepreneur Magazine’s Franchise 500. 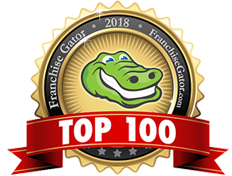 The list recognizes and celebrates top franchises based on financial strength and stability, growth rate and size of the franchise system." We're here to help you on your path to franchise ownership. Entrepreneur Magazine ranks Dental Fix!